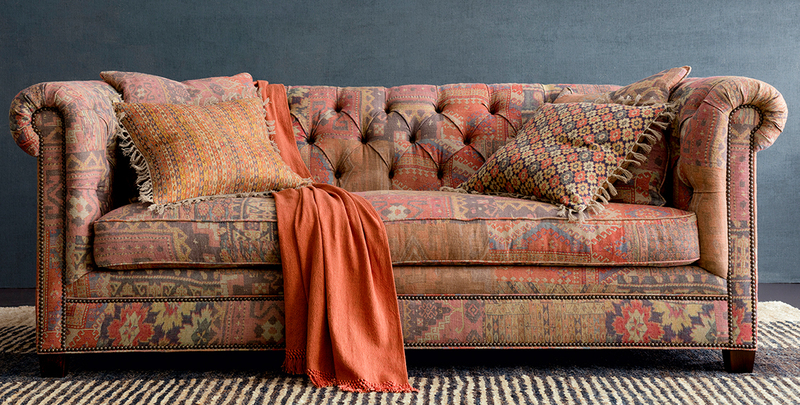 Our new Richmond Sofa upholstered in our Anatolia fabric boasts a bold pattern, eclectic style and a timeless color palette. To some, styling patterned furniture can seem daunting, but we want to show you how dynamic this show-stopper of a sofa is! 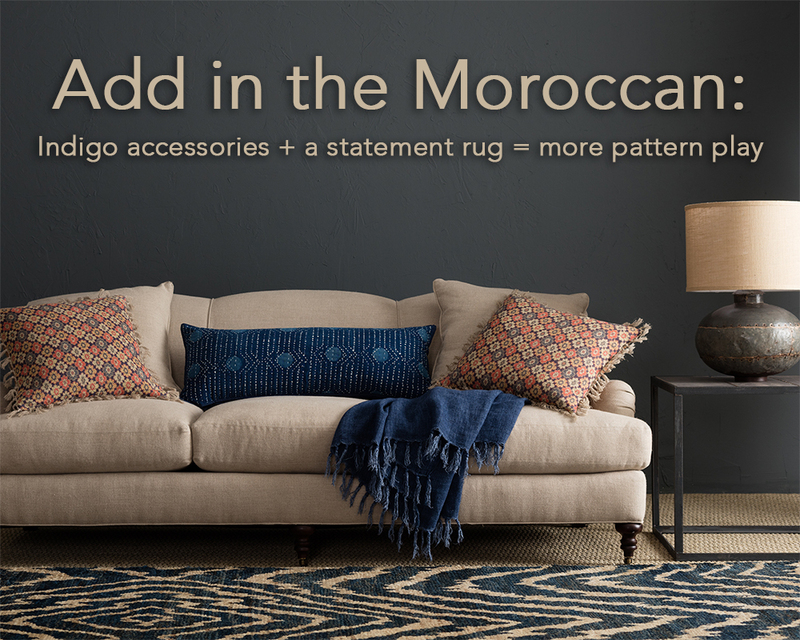 Scroll down to see how we’ve mixed and matched our favorite Annie Selke accessories with this Moroccan-inspired sofa to create a myriad of unique and stylish looks you’ll love. 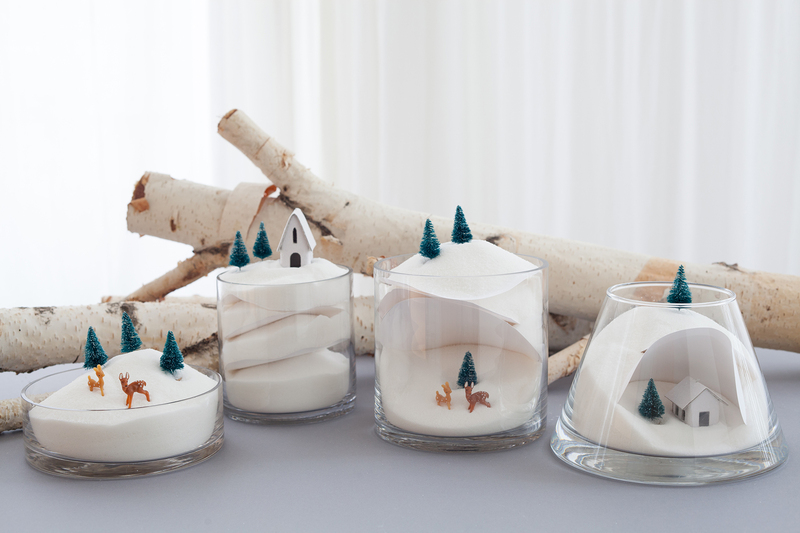 Pin your favorites and recreate your favorite look (or looks) in your own home! 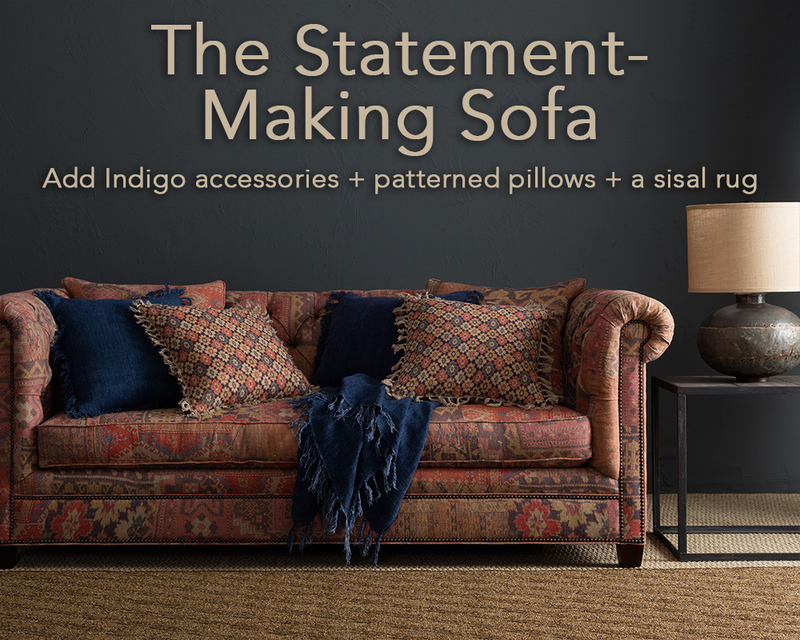 Start with our Anatolia Sofa and add indigo accessories (shown here is our Laundered Linen Indigo Throw and Laundered Linen Decorative Pillows), Moroccan-inspired patterned pillows and an earthy sisal rug. Here, the sofa is the star! 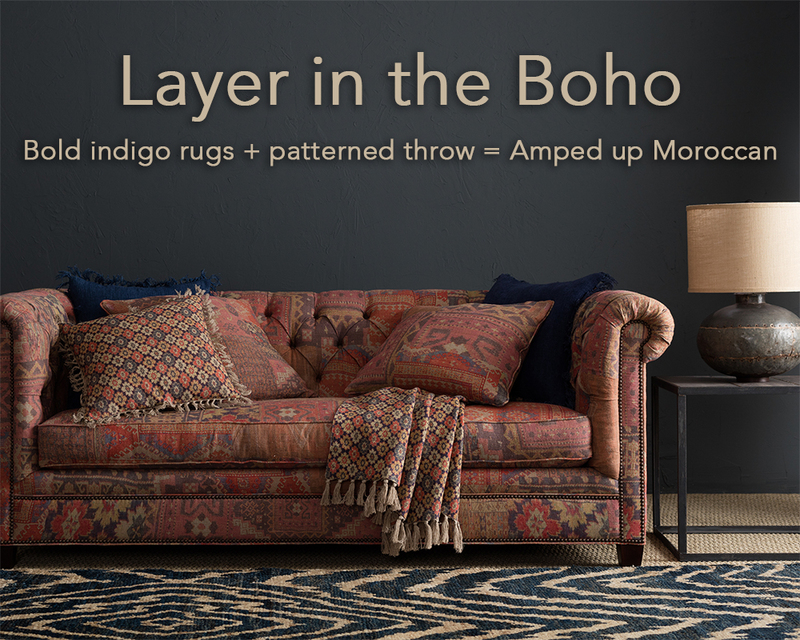 Add eclectic flair with a bold indigo rug, like our Sahara Jute Rug. 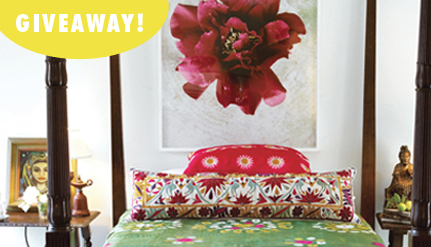 Play with even more pattern by adding patterned pillows and a matching throw, too! 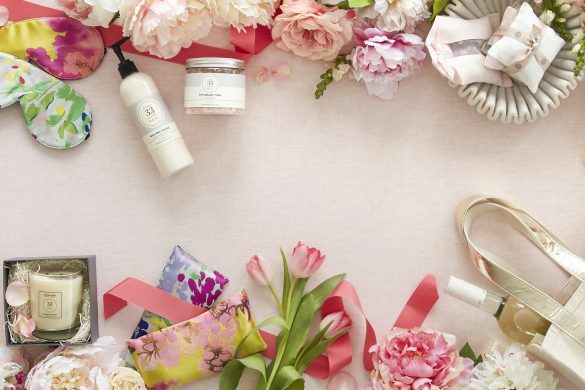 Go Glam! 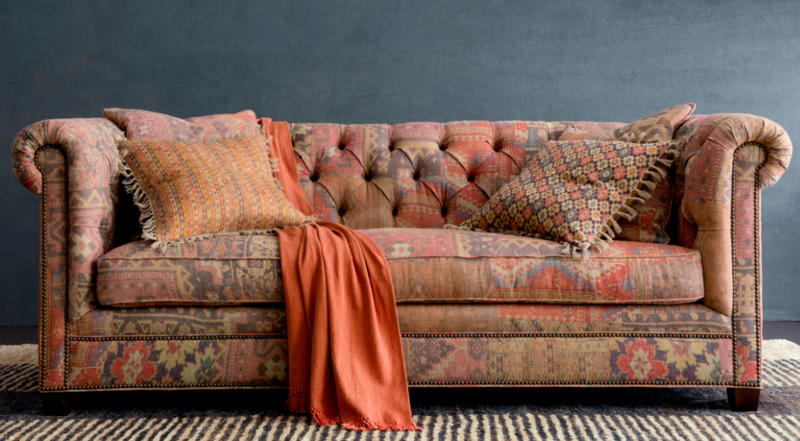 Max out the bohemian look by mixing patterns with your decorative pillows and throws, like our Kenya Embroidered Decorative Pillow and our Laundered Cotton Terra-Cotta Throw to compliment the sofa. 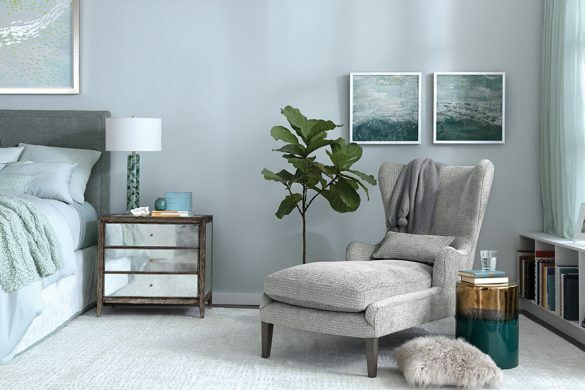 Tie the space together with a rich, Moroccan-inspired rug (shown here is our Rumi Jute rug), a Moroccan-style chandelier and a mod accent stool. 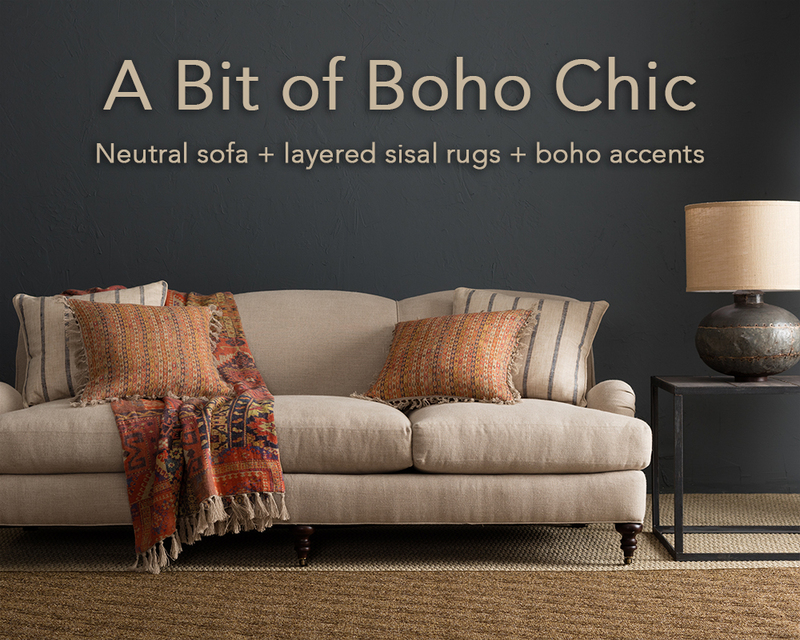 If a full-on patterned sofa is too bold for your taste, aim for just a bit of Boho Chic! Start with a neutral-colored sofa and layer on colorful and eclectic accents, like our Anatolia Throw and Anatolia Decorative Pillows. 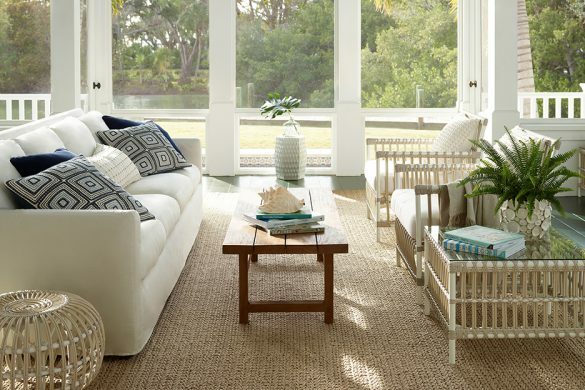 Finish off the look with layered sisal rugs for the perfect amount of texture. 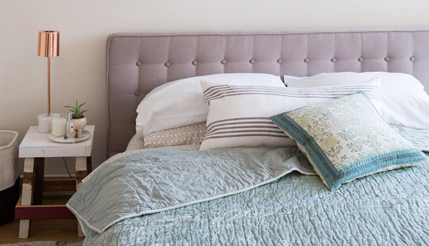 Add in the Moroccan vibe with a few indigo accessories, like our Resist Dot Decorative Pillow and Laundered Linen Throw. 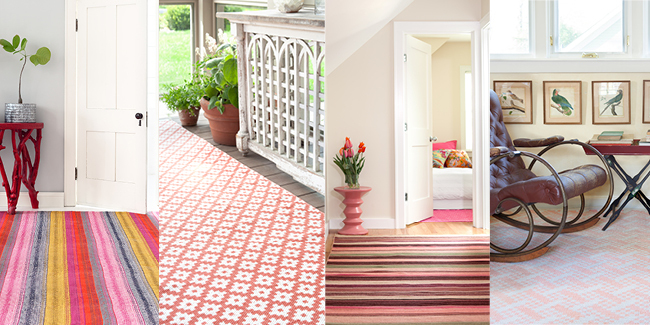 Add character and Moroccan flair by layering a sisal rug with a richly-colored statement rug. Our Sahara Jute rug is a perfect choice! 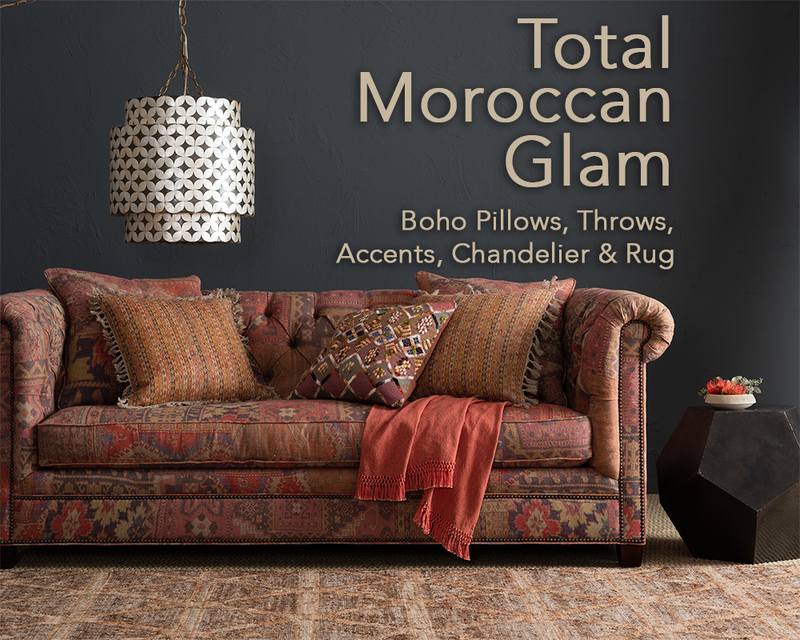 Take your neutral sofa to full-on Moroccan Chic by piling on a smattering of patterned pillows and a spicy-colored throw. Add a bohemian-style rug to the floor and finish off this exotic look with a gorgeous tile chandelier. 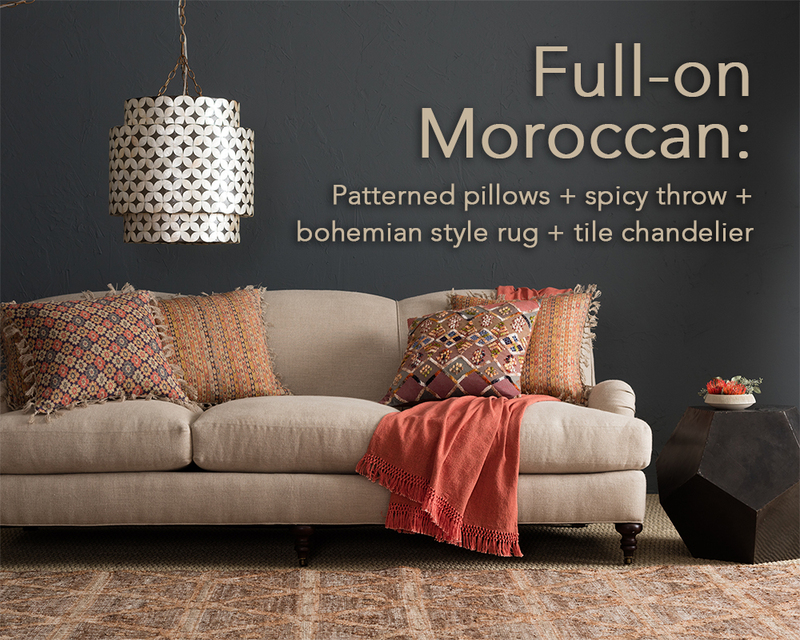 For even more style inspiration, click to watch “Moroccan Style 6 Ways” on YouTube!